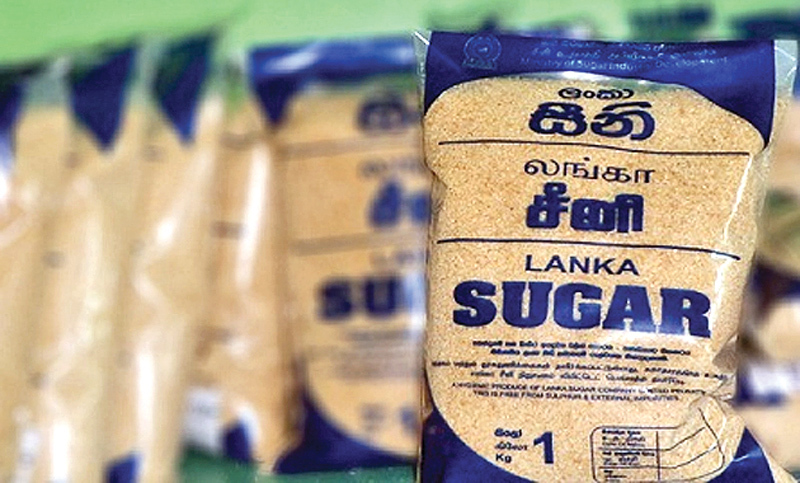 The Sri Lanka Sugar Corporation (SLSC) has profited Rs 1,174 mn during the last financial year. The SLSC which was running at a loss of more a billion rupees in 2015, managed to record a profit of Rs 1,006 million in 2016. While continuing its progress, the SLSC was able to increase the profit by another Rs 168 million by 2017 totalling a net profit of Rs 1,174 million. It had been planned to increase the production of the SLSC aiming to receive a profit of Rs 1,816 million (Rs 1.8 billion) during this financial year, Industries and Commerce Minister Rishad Badiutheen said. The SLSC had produced 51,422 MT of sugar in 2016 obtaining a revenue of Rs 4059.9 million, while making a net profit of Rs 1,006.3 million. Even though there was a slight decrease in production in 2017 due to the severe drought situation, the SLSC was able to produce 42,841 MT of sugar and obtain a profit of Rs 4,652.8 million during last year. The net profit of the year was Rs. 1174.6 million. The Minister said that this government took several measures to convert the SLSC to a profit making venture, including appointing a capable management. In line with the financial success of the SLSC, sugarcane farmers of the area have also been benefitted.